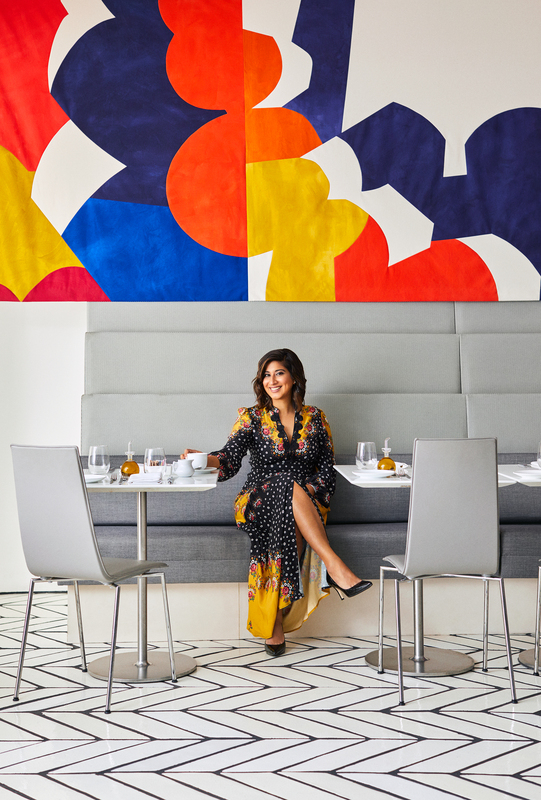 Tina Ramchandani’s interiors share an innate sense of balance. 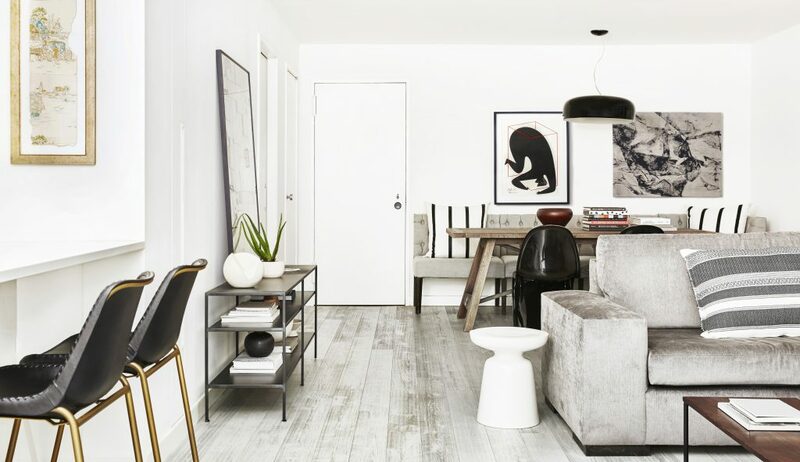 Understated and beautifully curated, they adhere to what she calls “soulful minimalism,” a style that’s “clean, comfortable, relaxed, and meant to be lived in.” Rather than stark white spaces, her version of minimalism is thoughtfully layered with light, texture, and depth. Greenwich Village Living Space by Tina Ramchandani. Photography by Jacob Snavely. Design by Tina Ramchandani. 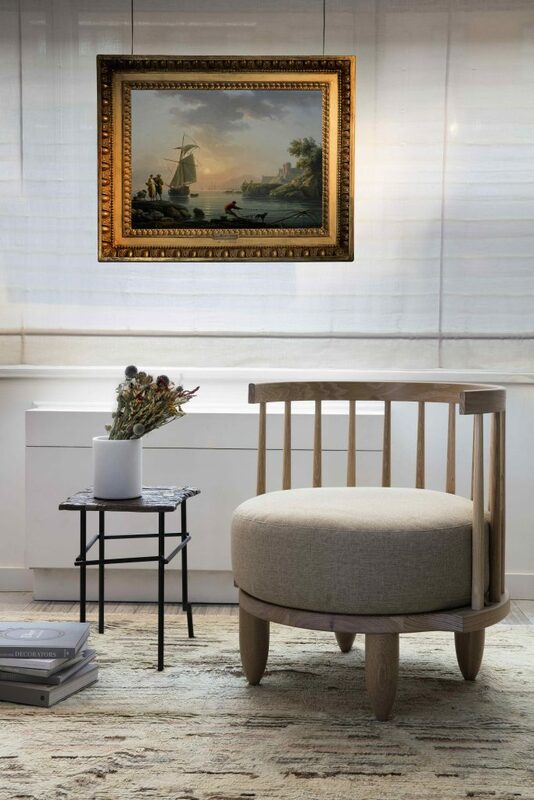 Photography and artwork courtesy of Sotheby’s. 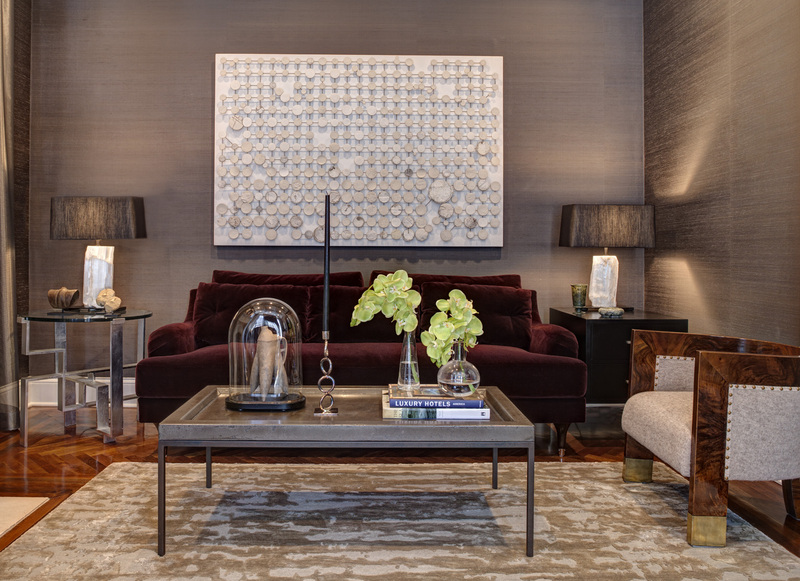 Recent projects have ranged from residential interiors to a collaboration with Sotheby’s. Seeking to showcase their Old Masters collections in a modern setting, the premier auction house tapped Ramchandani to create vignettes around antique artworks. “They were interested in seeing how we could modernize traditional paintings,” she explains. Surrounded by simple shapes and natural materials, the paintings feel like windows into other worlds. “I believe in mixing materials and textures,” says Ramchandani. Her palette frequently includes stone, wood, leather, and mixed metals. Stone is one of my favorite natural materials, mostly due to the variety of options available. The natural veining and color of a stone as well as the level of polishing or honing are all things I think about when designing millwork, custom dining tables, and kitchens. 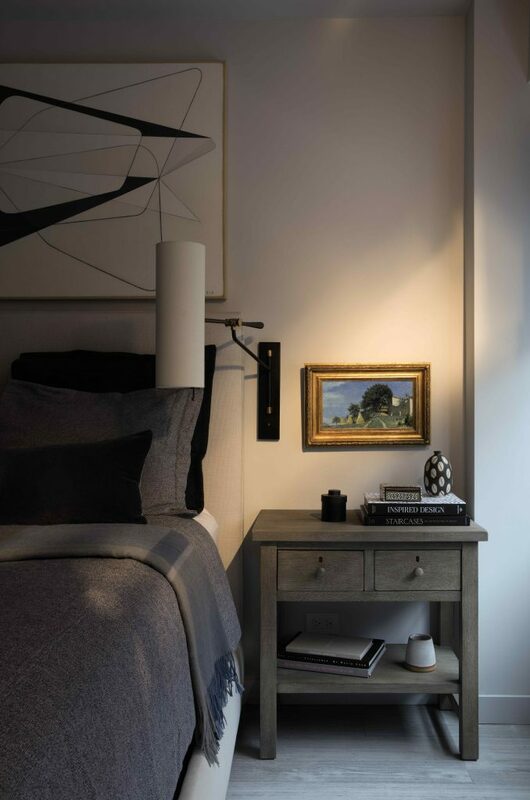 Soho home designed by Tina Ramchandani. Photography by Jacob Snavely. Ramchandani’s approach to color resembles that of a Vastu practitioner or feng shui master. 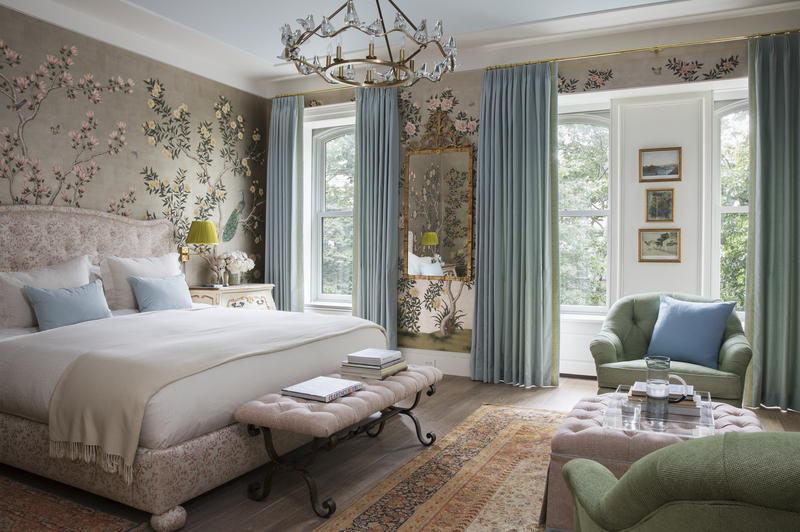 Instead of integrating color trends, she focuses on the holistic palette of a home. When it comes to color, I typically introduce it in an all-encompassing way, using it as a tool to create a feeling, set the mood, or enhance a specific environment. 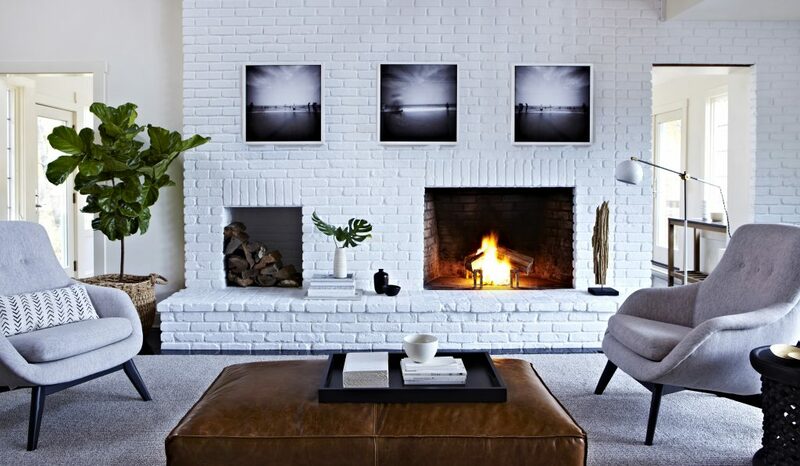 Different colors evoke different emotions and it’s a great way to support or determine the vibe of a space. Custom and natural materials bring dimension and depth to clean-lined forms, while elemental color schemes make colorful artworks and accessories stand out. Similarly, objects are valued for their meaning more than their price tag. 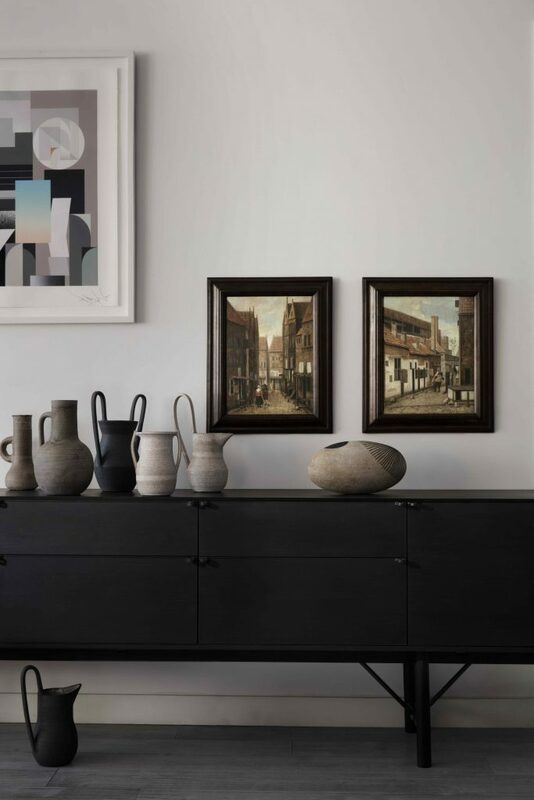 “I often incorporate historic pieces that have sentimental value to my clients in their homes, like a piece of furniture that has been passed down through the family, or a garment we frame and hang in an interesting way.” Antiques are another way of grounding a space and giving it a story. Shelter Island Home by Tina Ramchandani in partnership with Winter McDermott Design. Photography by Jacob Snavely. While in Helsinki, I toured the Iittala factory, and learned the history of the brand, how the brand is valued throughout the country of Finland and deep-rooted in the local community. I also fell deeply in love with their designs, which are often overlooked in the United States. I now use the Kastehelmi pattern of glassware in my own home and it’s been a huge hit at my dinner parties. When you collect details like dishware, a textile for the bed, or a runner in the hallway, you attend to both form and function. “These are small but meaningful ways to add impact and minimize clutter.” Mindful acquisition leads to more enjoyment of what you have. Portrait of Tina Ramchandani by Winnie Au.